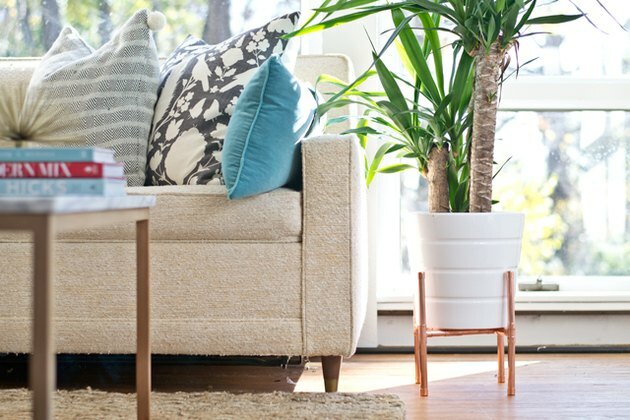 When decorating a space, a room isn't complete until a plant is added -- it brings so much texture and life to a space (pun intended). Elevated plant stands have been popping up everywhere, and for good reason, it's like jewelry for your plant. 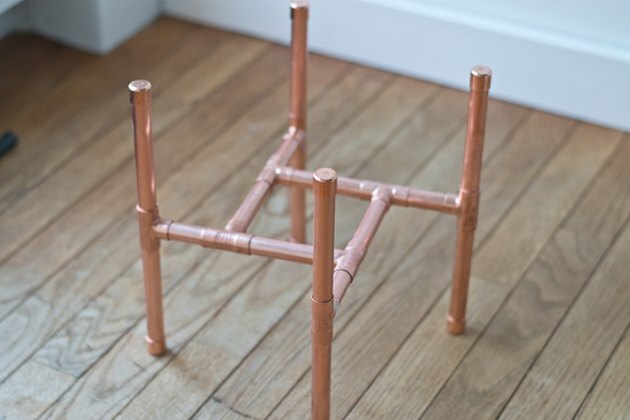 With a few simple materials, and a little time, you can easily make your own copper plant stand. 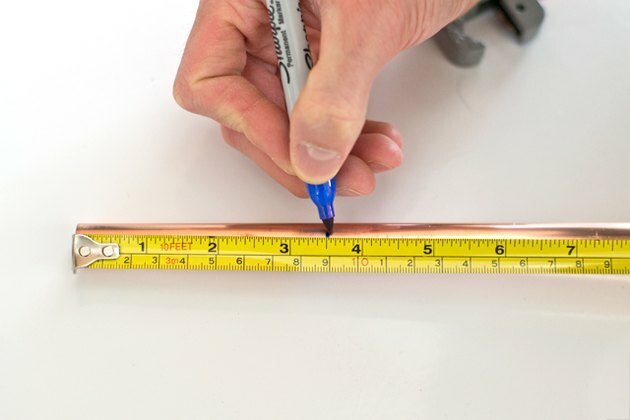 Measure your 1/2-inch copper pipes and mark at 3 1/2 inch increments (qty 4). 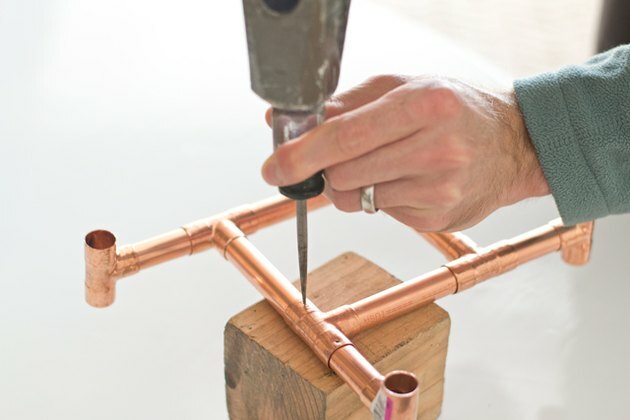 Using the pipe cutter, cut the pipe along the measured marks. Tighten the screw until tight, turn, tighten again, and repeat until the pipe breaks off. 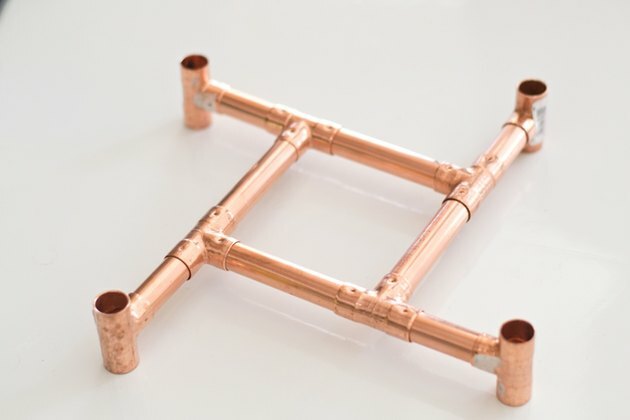 Insert the 3 1/2 inch sections of pipe into four copper T pieces to form a square. 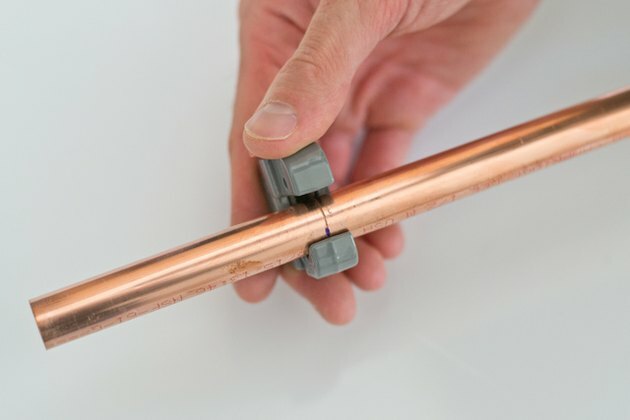 If any of the fittings are loose, secure them by punching a small dent into the copper with an awl and hammer where the sections meet. 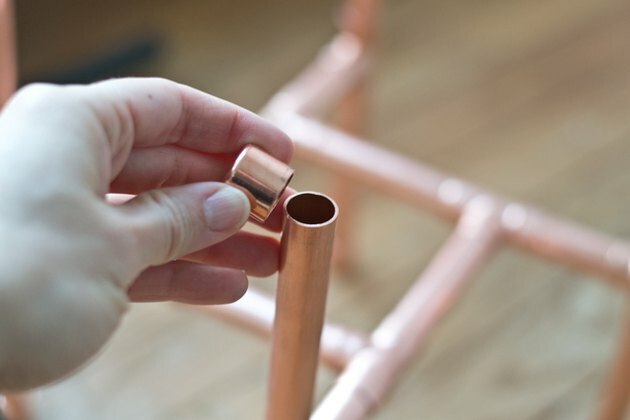 Place a piece of scrap wood underneath to protect the pipe. Repeat this step as you go, as needed. 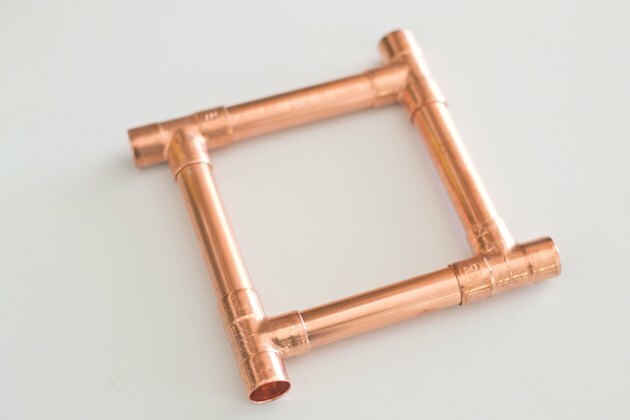 Cut 2 1/4 inch copper pipe sections (qty 4). On the end of the T, add 2 1/4 inch sections. 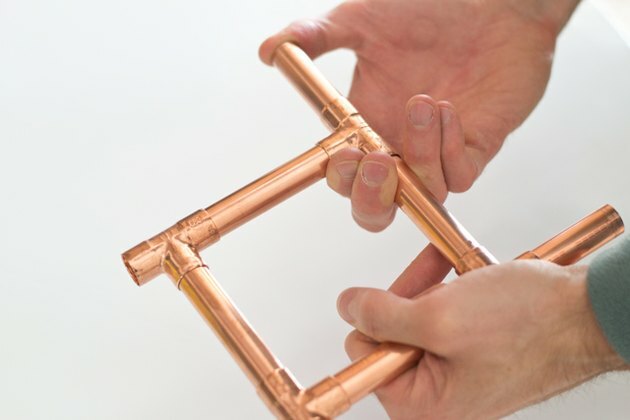 On the end, add copper Ts on the end of the 2 1/4 inch sections. Cut 5-inch sections of pipe (qty 8) insert into the top and bottom of the Ts. 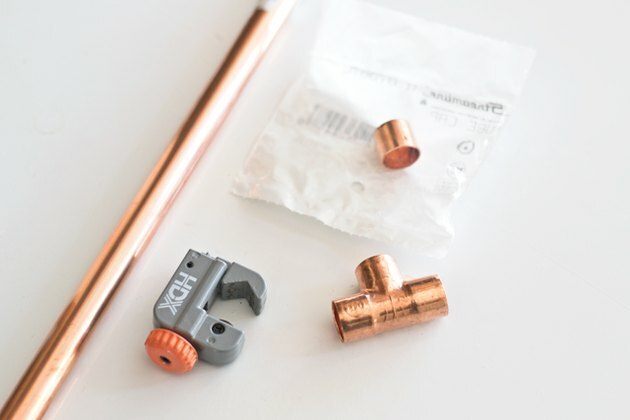 Place the 1/2-inch copper caps on all exposed ends of the copper pipe (qty 8). Finally, remove any red text with nail polish remover. With a tissue, rub the text off. Polish the copper with ketchup, rub on and off with a tissue. 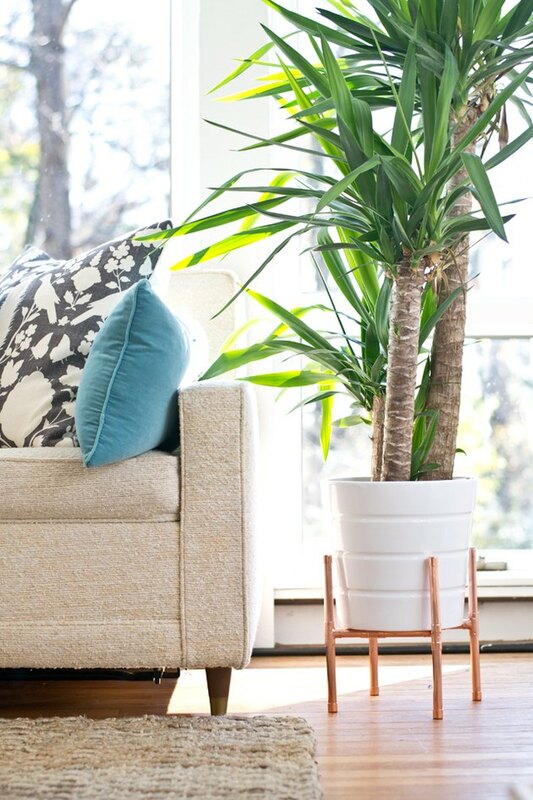 Insert the ceramic pot inside the copper arms and place in your favorite spot. With about just an hours time and a little money, I'd consider this a DIY success! Sarah Dorsey is a designer, DIYer, stylist and blogger living outside Washington D.C. with her husband, David and two dogs. With a background in Fine Arts and Interior Design, Sarah enjoys renovating their home and tackling projects both big and small. Sarah believes that with a little creativity, time and effort, you don't need a lot of money to make your home look fabulous!